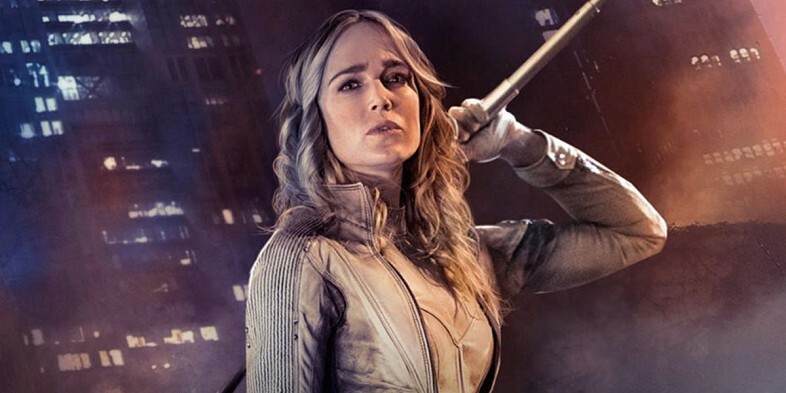 White Canary will emerge from the shadows when DC’s Legends of Tomorrow premieres Thursday, January 21 on The CW. Caity Lotz has become such a popular actress as the original Black Canary on CW's 'Arrow' that she had to be brought back from the dead to carry on her heroic vigilante ways as White Canary for the spin-off 'Legends of Tomorrow.' The newest promotional profile video features Sara as the motivated hero on the team. 'Legends of Tomorrow' premieres Thursday, January 21 and also stars Brandon Routh as the Atom, Wentworth Miller as Leonard Snart/Captain Cold, Dominic Purcell as Mick Rory/Heat Wave, Victor Garber as Professor Martin Stein (one-half of Firestorm), and Franz Drameh as Jefferson "Jax" Jackson (the other half of Firestorm).